John Tully was born John Luke Victor Ball to his mother Emily Jane Ball at Hamilton in 1890. In 1892, Emily married William Richard Tully. John attended St Mary’s Convents School and the family lived in French Street. By 1912, the Tullys were living in Brown Street and John was working as a labourer. He joined the 11th Light Horse at Hamilton around that time. On 14 January 1916, John enlisted and was at the Royal Park camp with the 23rd Battalion for a month. 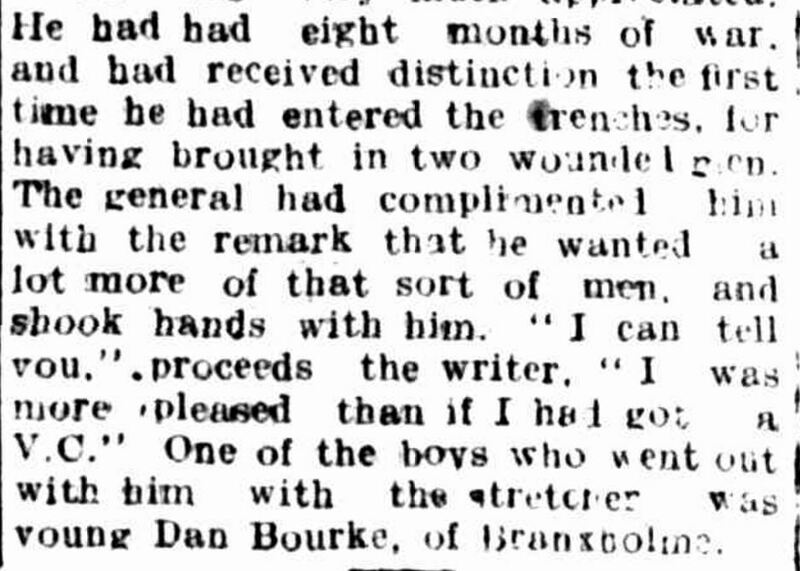 He then went on to Castlemaine with the 20th Depot Battalion. 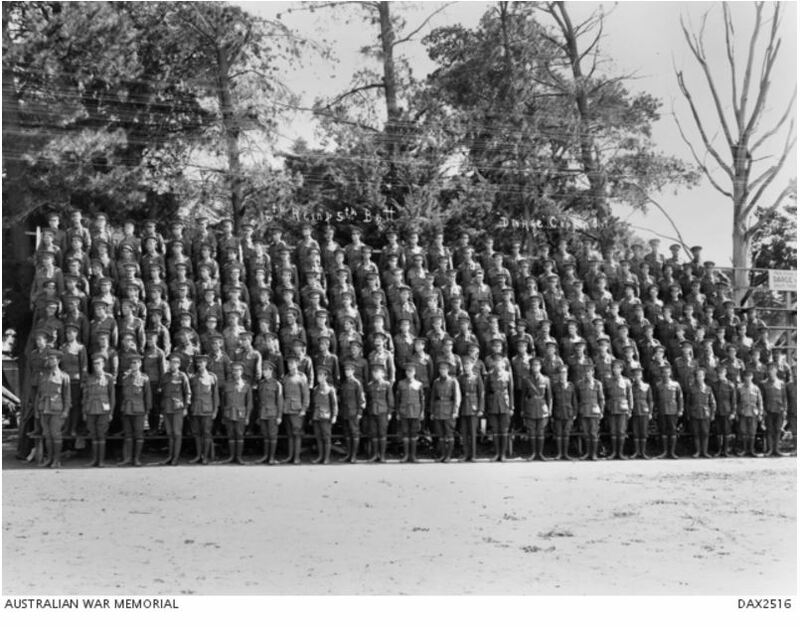 Before embarking overseas, John was transferred to the 5th Battalion on 18 March and sailed with the 5th Battalion 16th Reinforcements (below) on 1 April 1916. Once in Egypt. John was transferred to 57th Battalion and left Alexandria with them arriving in France on 30 June 1916. The following month he had mumps and admitted to the 24th General Hospital at Étaples. Discharged from hospital on 24 August, he didn’t return to the 57th Battalion, instead joining the 58th Battalion as a stretcher bearer on 29 August 1916. . On 26 January 1917, the 58th Battalion were at Delville Wood Camp on the Somme. “A GALLANT SOLDIER.” Hamilton Spectator (Vic. : 1870 – 1873; 1914 – 1918) 20 April 1917: 2. <http://nla.gov.au/nla.news-.&gt;. During April 1917, the 58th Battalion were at Mametz on the Somme. They remained there until 8 May when they moved to Bapaume and the Beugny-Vaulx line. 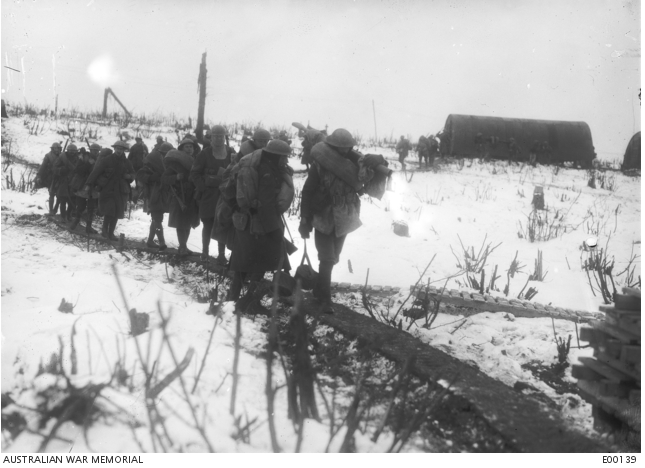 By 11 May, the 58th Battalion were on the front at the Hindenburg Line. Between 2:00 am and 4.30 am on the morning of 11 May, John received a severe wound to his leg from a shell. He was placed on a stretcher but insisted on walking. The South Australian Field Ambulance then took him to the 3rd Casualty Clearance Station. His wounds were so severe he was transferred to the No. 3 Ambulance Train to go to the 1st South African General Hospital at Abbeville, arriving on 16 May. 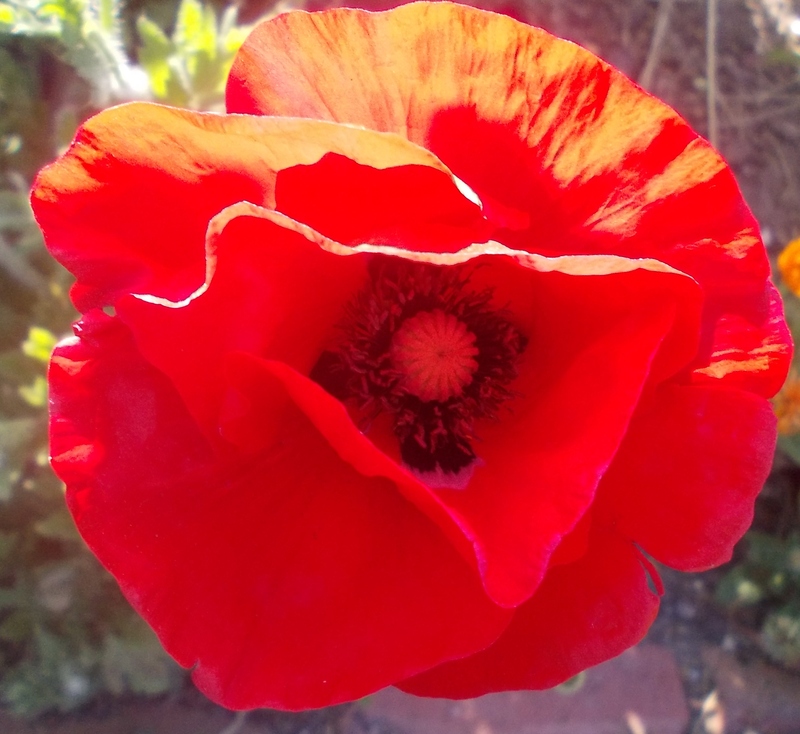 On arrival, there was no choice but to amputate John’s leg, but he haemorrhaged and on 19 May, he died. Sapper Frank Adams wrote to John’s mother Emily and told her of some of the detail of the events of 11 May. He said John was joking when other men would have been unconscious. She also heard he was recommended for a Distinguished Conduct Medal for gallantry in field 11 May 1917. It was supposedly in the unit’s daily orders but after requesting further information from the Defence Department, she was told that was not the case. A tree was planted along Hamilton’s Anzac Avenue for John by James Lodge Jr and John’s name is on the Hamilton War Memorial.